Home/Financial/Why Hire An Expert Witness? There are many benefits to hiring an expert witness. In fact, most would agree that it is most important to have an expert analyze the complexities of a construction case. This is because they are subject matter experts in the area being litigated. Hiring an expert witness can increase your chances of having a favorable outcome in your case. Expert witnesses are regarded as highly resourceful and useful in their professional field so should be considered strongly. Experts are knowledgeable on a variety of subjects many times interwoven in a construction case. When evidence points to a certain issue, a construction expert witness who specializes in a specific area can be hired and called on. You can call your expert witness to testify and also provide deposition at a trial or hearing. It is common for expert witnesses to be brought in to review exhibits, present testimony, and testify about certain facts during a hearing or litigation. 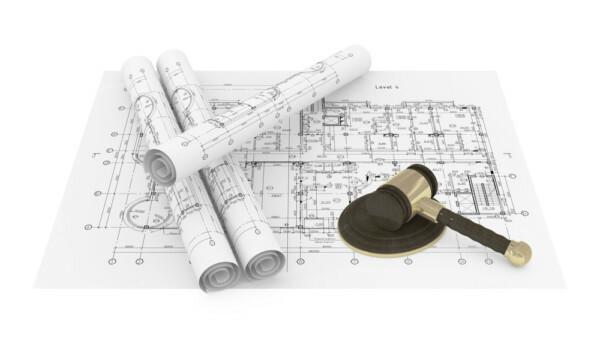 An expert witness can also review drawings, specifications, project accounting, and any other information relevant to a case. If the lawyer does not have a special knowledge needed to successfully resolve a construction issue, it’s crucial to retain the services of an expert. The expert will allow the lawyer to provide the most reliable and relevant information to the jury or judge in a more unbiased manner. What Are The Benefits Of Hiring An Expert Witness? Expert witnesses truly carry their own weight. Testimony from an expert is regarded as informative and accurate during testimony. A great impression can be made on a jury or arbitrators as you validate your case with an expert opinion. There are many instances where an expert might have worked on similar cases to yours and can direct you accordingly. That said, experts know how to represent facts accurately and in a clear way that the jury or arbitrators will understand. Experts know how to communicate complex subjects in a concise and simplified manner. This way experts remain informative but can explain things in laymen terms so all involved can listen and comprehend the subjects being discussed. Experts can offer insight that can help your case get settled more quickly and favorably to you. The valuable insight offered by experts ensures that you benefit from the many years of experience and similar cases the expert has worked on. Hiring an expert witness can increase your chances of success. It is a great way to help achieve a fair settlement instead of prolonging the case and incurring more legal fees. Hiring an expert can save you money as they can prevent a long drawn out case by clarifying certain matters and providing the information needed more quickly for the judge or jury to make an educated decision. Just make sure you hire the right expert that specializes in the area being litigated on. The expert should know the ins and outs of the construction industry including its legalities. Experts are impartial. You need this unbiased point of view to convince the judge or jury. It’s important to have an expert in the specialized field with the credentials and experience to prove they are an objective reliable source of information. Since experts don’t have any personal involvement in a case, they are a more reliable source of information. They are considered more ethical and do not lean toward any side in particular inherently. They are perceived as needed for the judge or jury to make an informed decision regarding a construction matter. Make sure you’re hiring the right expert. Within the construction expert realm, there are a few specialties. There are generalists and then there are specialists. Depending on the case, you will need to call on one or the other. There are cases where both are needed. Either way, you are trying to obtain the trust of the jury or the judge and need the expert that will help with exactly that. Make sure you are communicating with your expert regularly. Make sure your expert understands the entire situation and that you have communicated all critical points to your knowledge. Take them on-site and show them the context of the situation so they have a broad perspective. Give the expert the tools he or she needs to do their job optimally. Build a relationship with your expert because you might need to call on them more than once. Make sure you hire an expert early on in a case versus later so that he or she is fully aware of any and all issues surrounding the case. The expert will also ensure that you’re not going into the case blind but are aware of all issues pertinent to the case. This will lead to a quicker and more favorable outcome for you. In conclusion, as stated above an expert witness can increase the chances of a favorable judgment or decision by offering unbiased advice and expertise on a particular subject matter. It’s important to know what type of expert you need whether it be a generalist or specialist. If a specialist is what you require, make sure the expert specializes in the specific area your case is relative to. Build a relationship with your expert and keep them informed of all case matters so they can assist you in a maximum capacity. If you have any questions about the Expert Services Division at Murow|CM please inquire here, call (949) 988-3270 or e-mail smurow@dirtexpert.com.